They say life has never been easier for creatives – all you need is your laptop and an up-to-date social media profile. But as leading Aiglonian musicians, filmmakers and directors attest, the 21st century is a tough gig. Getting into the creative industries has never seemed so attractive. There are multiple avenues for creatives to explore and exploit, and the numbers are mind-boggling: 65 million Netflix members in more than 50 countries watch more than 100 million hours of movies and TV shows every day. Ed Sheeran’s Shape of You has had almost two billion streams on Spotify. Felix Kjellberg, better known by his YouTube moniker PewDiePie, is the most-followed YouTuber of all time, currently at 71 million subscribers, earning him an estimated $12m per year. In fact, starting young is a common theme among creatives. Farzin’s mother was a painter and sculptor, and he found great joy in drawing as a child growing up in Iran. His father worked in the photography industry and brought home cameras for the young Farzin to play and experiment with. This passion continued throughout his schooldays. And two others caught the bug early. Producer and writer Daniel Voll (parent of Ondine and Harper) says he was “always writing plays and short stories. That was a big part of my life as a kid and in high school it was something I continued to do.” And Andrew Keresztes (Belvedere, 1982), a film and TV composer who’s worked for everyone from Fox to Disney, became “obsessed” with the guitar at the age of 14. Edoardo believes that gaining life experience is an essential part of a creative’s journey. “On my film course, everybody was so focused on having a camera in their hands – making films as opposed to what films are about, which is people and stories,” he remembers. Edoardo switched to English, History and Psychology to feed his desire for stories, before returning to film school as a graduate “armed with story-making tools”. Passion and experience have always been important in the creative industries, but the major change over the last decade is that, today, creatives can get their own work in front of the public without the backing of major studios, TV networks or record labels. Being able to record songs at home for no money was a huge benefit for Octave, he says – while the internet also changed the music industry radically, it’s brought plenty of advantages. But you still have to work at it, Daniel points out. “If you’re a writer, you will ultimately become a salesman at the same time. There is no employment office that says: ‘Writers apply here’. Using those connections is crucial, agrees Andrew. He was working as a composer for commercials in Boston when a friend sent his showreel to bassist and composer Stanley Clarke, who had just finished the film score for Boyz n the Hood. Clarke liked the reel and told Andrew he should come out to LA. After Edoardo’s first film, the drama Between Strangers about the tribulations of three Toronto women, he didn’t make another for five years. “If my first movie had been an unadulterated triumph, then I could have done anything I wanted after that,” he points out. “But though it was well received, it wasn’t the big success that I was hoping it was going to be. “Only aim to be a creative if you have no Plan B,” says Edoardo. “If you’re not passionate about it to such an extent that there is no room for Plan B, that if you don’t do this you will perish – do something else. 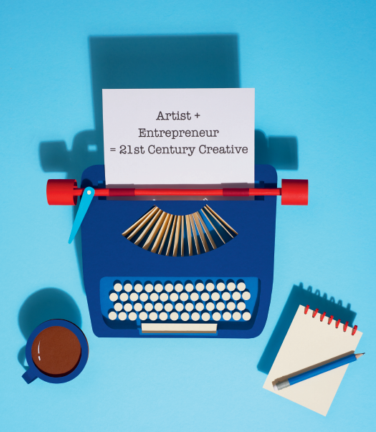 This is the creative life: it’s an entrepreneurial life. You generate your own work, you create your own opportunities. You don’t have a nine-to-five job, you don’t have a recurring salary. And you are always in this limbo – between despair and ecstasy. 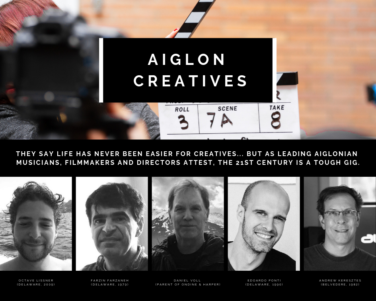 This article first appeared in Issue 11 of Aiglon's Magazine.